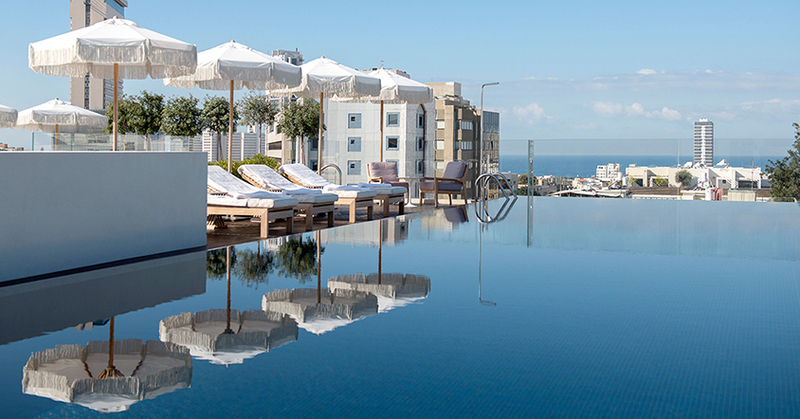 The Norman’s stunning rooftop pool is now open and the view to the sea is crisp and clear. Thanks to this seasons perfect – the month of May is when the beach season opens! In fact, the perfect way to spend your May day vacation at The Norman would surely begin with one of the most incredible breakfasts in town, either taken in The Norman Restaurant or enjoyed on the open terrace. After which you ought to collect a Norman tote bag from reception, full to brimming with all your beach tote essentials (minus the sun cream! ), and continue with a beautiful stroll through some of the oldest neighbourhoods of the city – all the way to the beach for the ultimate summer-fun lounging. But because there are more ways than just one to the beach – you may also consult with The Norman concierge team who can give you a more comprehensive walking tour, give you one of The Norman bikes or book you a taxi to the right beach to suit your vibe and mood. Also known as the “matkot” beach, the national beach bat & ball sport that is responsible for the incessant tick tacking against the wooden bats. Once you start playing, it’s impossible to stop. A popular beach, crowded with bright young locals. There is a popular café here and music which is carried all the way to the surf! On Fridays, the crowd increases as the live music plays on. This legendary beach that has a film named after it has a late night lounge bar, a playground, a beachball net, outdoor gym and public library cart. In recent years, Metzitzim has become the beach of choice for both families and young patrons. But these are only three. There are others, let us tell you about all of them and show you how to get there.